You’ve probably been wondering why I have yet to post a sweeter recipe up on Coneys and Kale. Turns out, I have a big sweet tooth! But when it comes to baking, I would rather have someone else do the job. It can be tedious, messy, and just take way. too. long. I hope that one day I will have a robot to do all of the dirty work! But until my baking assistant, C3PO, is on the market, I search for baking recipes that require the least amount of sweat, worry, time, and of course, taste great. Below is one of my go-to recipes for baking, adapted from the blog, Sweet Verbena. These little guys take about 25 minutes TOTAL and require only THREE ingredients. Yes, you heard that right. This is the definition of a lazy person’s recipe! 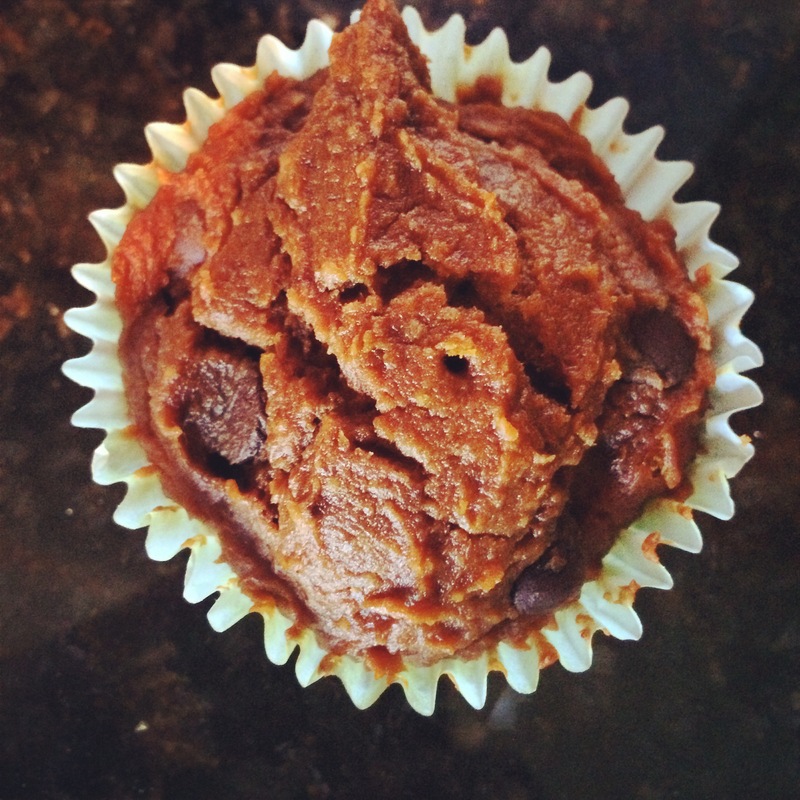 And the best part is, people rave to me about these soft, decadent, ginger pumpkin-choco muffins. 1 box of gingerbread cake mix (I used Betty Crocker). Yellow or chocolate cake mixes will also work great if you aren’t a fan of ginger. 2. In a large bowl, mix together cake mix and canned pumpkin. You’re going to completely ignore the directions on the cake mix and just follow this step! Trust me. You can use a mixer for extra smoothness, but stirring vigorously with a spoon works fine, and gives your arm a little workout. 3. Add in chocolate chips and mix well into batter. In my opinion, you can never have enough chocolate chips! 4. Place muffin/cupcake liners in muffin pan, and add batter. Bake for about 20-25 minutes until toothpick comes out clean. I can tell you that these are delicious. Thanks for posting & for a great blog! Thank you for the kind words! These muffins DO rock! I just made them for the third time!! They are sooooo good and so easy to prepare.